Despite comics being a very visual medium, it is rare that I see the cover of one and think ‘I HAVE TO READ THAT.’ But that is exactly how I felt with Monstress. 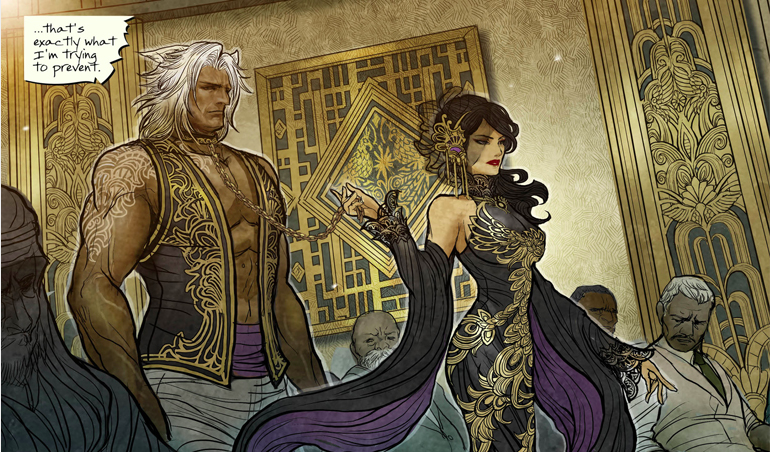 Marjorie M. Liu and Sana Takeda’s fantasy epic takes the reader on a dark, twisted tale of betrayal, gods, politics, war, and more, through pages of sublime art. The art takes its cues from art deco and steampunk, two visual identities steeped in detail. Amazingly, Takeda’s art lives up to both these traditions. Extraordinary in scope, the story never feels as though it is overreaching. Yes, there’s a lot of information packed in (that occasionally slips into a bit of exposition dumping), but for the most part, I was swept away on the swift tide of grand ideas. 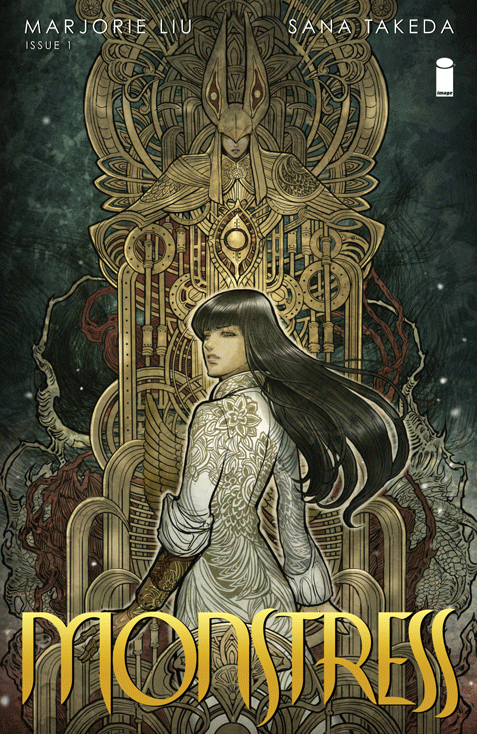 Monstress is worthy of inclusion alongside epic tales of Emperors and Dynasties already littering Asia’s history and literature. Maika, one of only a few survivors of a great battle between arcanics and humans, willingly enters slavery in order to infiltrate the city of Zamora and find the answers she is looking for. She remembers little of her life, but she does remember her mother. In tracking down the woman she believes is responsible for her mother’s death, Maika gets far more than she bargained for. Now she must outrun enemies on both sides of the war as well as overcome the monster within. Monstress does not shy away from tackling uncomfortable issues. Unlike similar comics that delve into such areas of darkness and trauma, Liu’s story is not prescriptive. At no point did I feel as though the story were talking down to me, telling me how or what to think. 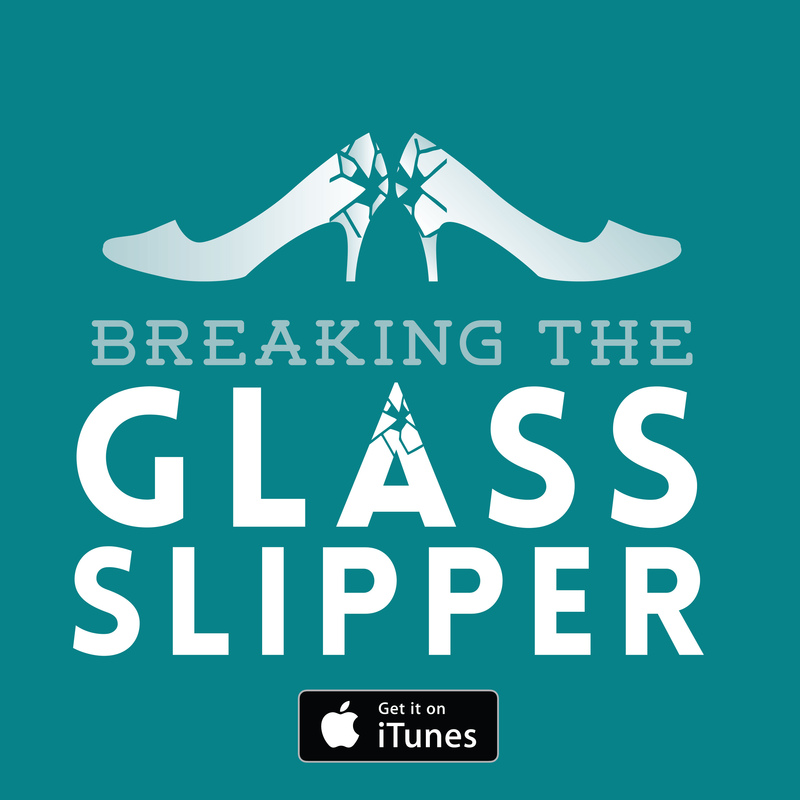 This is a difficult line to walk – tackling such issues while letting the story speak for itself. 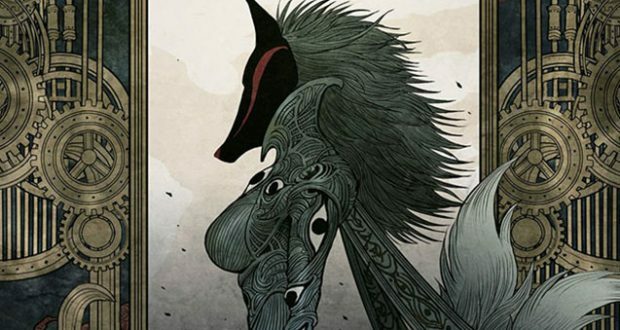 Right and wrong are never as clear-cut as many fantasy stories would like their readers to believe, but Monstress revels in the shades of grey, making it far more interesting than similarly pitched stories. Often, with stories of such large scope, the story of the individual can get lost. This is not the case in Monstress. Despite the large-scale war playing out around Maika, it is her story that is at the core. She is a potentially difficult character to build a story around, given her own darkness and questionable behaviour (at times), but the ‘posse’ that follows her humanizes her. Kippa, the ‘little fox’ girl, and Master Ren, the cat with two tails, are Maika’s companions. Two small creatures hardly seem appropriate company for such a dangerous quest, but they have brains and heart, which is what Maika really needs. After all, with the monstrum inside her, she can look after herself. 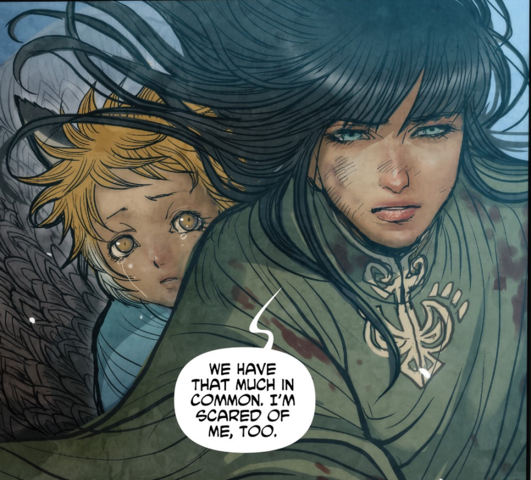 Betrayal is a common theme throughout Monstress. Characters on both side of the war, Maika’s friends and foes, all betray one another regularly. This isn’t a bitter story, though. Even when some of Maika’s friends sell her out, she is able to forgive them. The betrayals that take place are more about human nature and our tendency to change our minds. Again, Liu’s story shows us countless times that good and evil are not black and white – you may believe you are doing the right thing at one point and decide later on a different course of action. It is part of life and expected. If you were to continue going along with one ideology and plan, despite mounting evidence it was the wrong one, that would be the real problem. 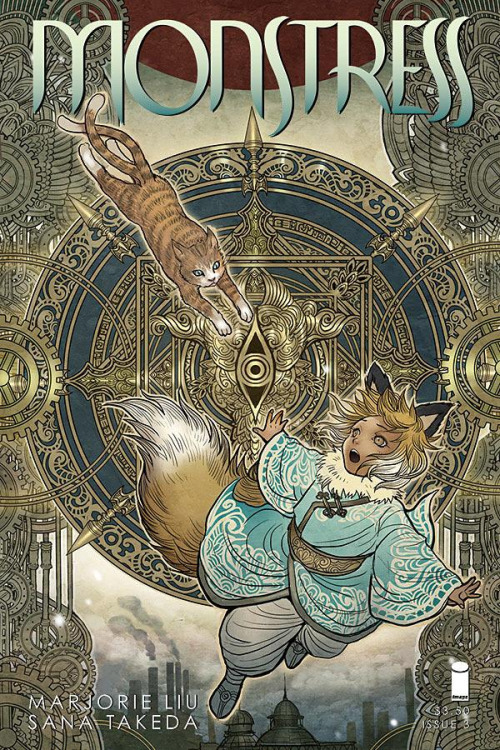 While I love a good revenge story, Monstress takes an unusual approach to story elements that could easily be turned into a revenge vendetta – it is a quest for answers more so than revenge, and a surprising amount of forgiveness thrown in for good measure. Verdict: Sumptuous art for your eyes to fall in love with, while your mind ponders questions of war, right and wrong, and identity. Well-worth reading. Monstress Vol. 1 was released on July 19th from Image Comics.